Since the Deepwater Horizon oil rig exploded in April 2010, gushing more than three million barrels of oil into the waters of the Gulf of Mexico, damaging effects have been found in everything from seabirds and turtles to corals, plankton, and jellyfish. Now, scientists from the US National Oceanic and Atmospheric Administration (NOAA) say they have the strongest evidence yet that more than 1,000 dolphins died as a direct result of the disaster. In the wake of the spill, bottlenose dolphins in the northern Gulf of Mexico became stranded at a rate four to five times higher than normal. Even today, stranding rates are still running high. In a new study, NOAA scientists describe how they performed necropsies on dolphins that had become stranded in the Gulf between 2010 and 2012. Comparing the causes of their deaths against other dolphins that were not affected by the spill, the scientists found that dolphins from the northern Gulf died in large numbers to otherwise rare diseases. The dolphins exposed to the spill had unusual damage to their lungs and adrenal glands, a problem that increases vulnerability to life-threatening infections like bacterial pneumonia. The scientists found that more than 20 percent of the northern Gulf dolphins had pneumonia, while only two percent of unaffected dolphins did. “These dolphins had some of the most severe lung lesions I have ever seen in wild dolphins, throughout the US,” said Kathleen Colegrove, the study’s lead veterinary pathologist, on a call with reporters. In addition to lung problems, one in three dead Gulf dolphins had a thin adrenal cortex, the outer layer of the adrenal gland that helps regulate hormones. This is a rare condition that’s been observed in other animals exposed to crude oil from the Gulf, says Colegrove. In Louisiana’s Barataria Bay, one of the coastal regions hardest-hit by the spill, the rate of adrenal cortex thinning was even higher than in other parts of the Gulf—about 50 percent of dolphins were affected. In comparison, fewer than 10 percent of the dolphins in the study’s control group showed this problem. 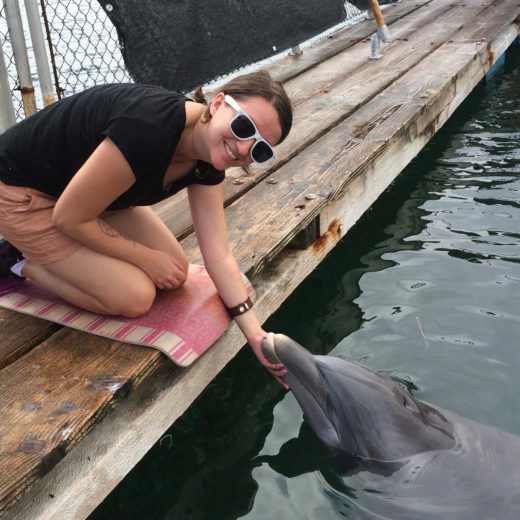 The new study builds on a 2013 NOAA finding that live dolphins in Barataria Bay were five times more likely to have moderate to severe lung disease than dolphins in Sarasota Bay, Florida. Those live dolphins also showed evidence of adrenal problems. Other than the Gulf oil spill, “[n]o feasible alternative causes remain that can reasonably explain the timing, location, and nature of these distinct lesions, and the increase in death,” says Stephanie Venn-Watson, a director with the National Marine Mammal Foundation and the lead author of the study. The researchers say more time is needed to know if the spill will affect dolphin populations in the long run. But their study is one more piece on the pile of evidence that the disaster wreaked havoc on the Gulf. Cite this Article: Laura Dattaro “Deepwater Horizon’s Growing Death Toll,” Hakai Magazine, May 21, 2015, accessed April 25th, 2019, https://www.hakaimagazine.com/news/deepwater-horizons-growing-death-toll/.